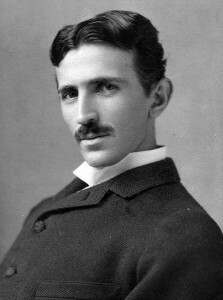 Belgrade – The remains of the scientist Nikola Tesla will be transported from the museum dedicated to the great man in Belgrade to the churchyard of St. Sava Temple, where a monument will be erected to him, it is envisaged by the Agreement signed yesterday in the Patriarchate of the Serbian Orthodox Church. The agreement was signed by the Serbian Patriarch Irinej, Minister of Energy Zorana Mihajlovic on the behalf of the Serbian Government and Interim Authority President Sinisa Mali. The Patriarch, after the agreement was signed, said that there is nothing more natural than having the remains of the great thinker are buried in, as he said, the holiest place of the Serbian people – a temple dedicated to St. Sava, where is also a monument to Karadjordje. “Nothing is more natural or logic, then having in this, most beautiful, place in the city and next to a great shrine, resting three great names of Serbian history, culture and science,” said Serbian Patriarch Irinej, thanking the government and representatives of the City for the support of the SPC initiative. He added that he hopes this will be a new reason to have even more people visiting the Temple, but also “the grave of the greatest mind of science”. “I thank to all who will contribute to build a monument Tesla deserves and to have his remains beneath the monument, near the Temple of St. Sava,” said the Patriarch. According to Sinisa Mali, a working group will be formed, which will include three representatives of the Ministry, the City of Belgrade and SPC, and which will work on transporting Nikola Tesla’s remains to the churchyard of St. Sava Temple as soon as possible. Mali said that the city will provide all the conditions to transfer the urn from the museum, as well as all the necessary permits. The Ministry of Energy will, according to Zorana Mihajlovic, help the realization of the project as soon as possible with its activities. “As the government and the Ministry we want to be recognized by all young scientists who will remain in the country and all those who will come to it,” said Mihajlovic. The urn of Nikola Tesla in the building of the museum in Belgrade, which carries his name in 1957.